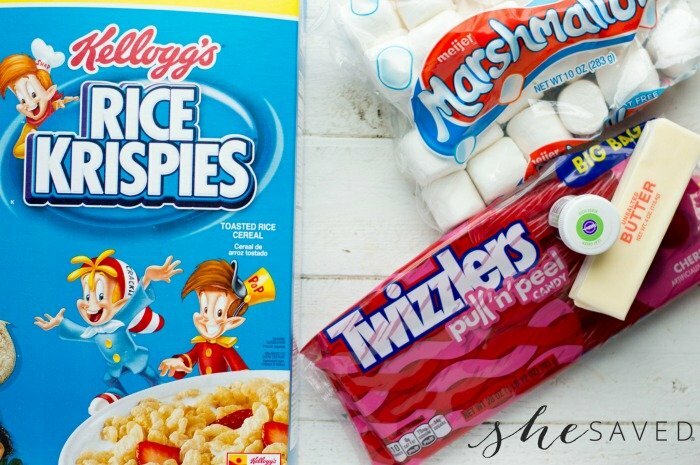 Here’s another fun and festive holiday treat that your family is sure to love if they love traditional rice krispie treats. 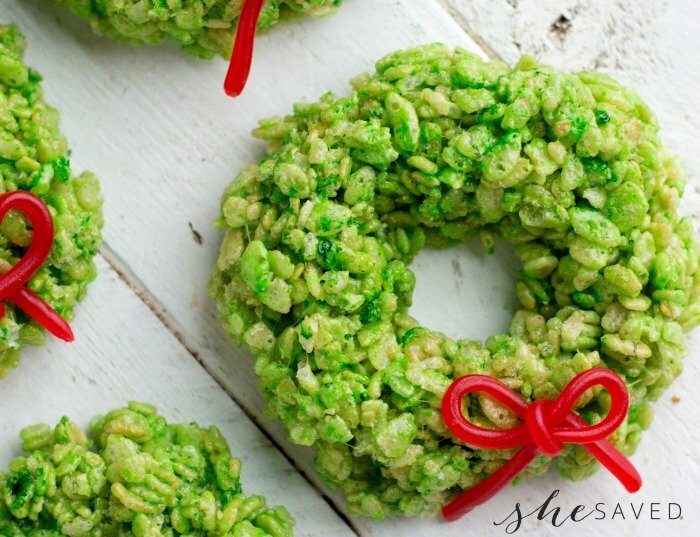 These Rice Krispie Wreaths are just as easy to make and just as tasty…if not more! If you haven’t seen it yet, make sure to check out my Christmas Corn Flake Wreath Cookies, as they are similar but might be a good option in case you don’t have Rice Krispies on hand. These Rice Krispie Wreaths are super easy and a great recipe to make when you are short on time and still want to make something festive and fun. 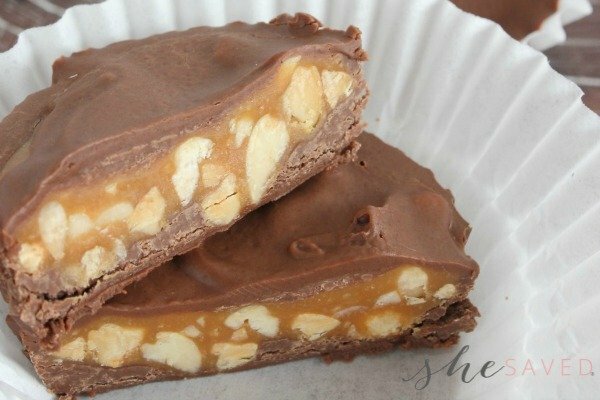 Plus, Rice Krispie treats are always a hit. Color melted marshmallows with gel food color until it reaches your desired shade. Add Rice Krispies and stir until completely coated. 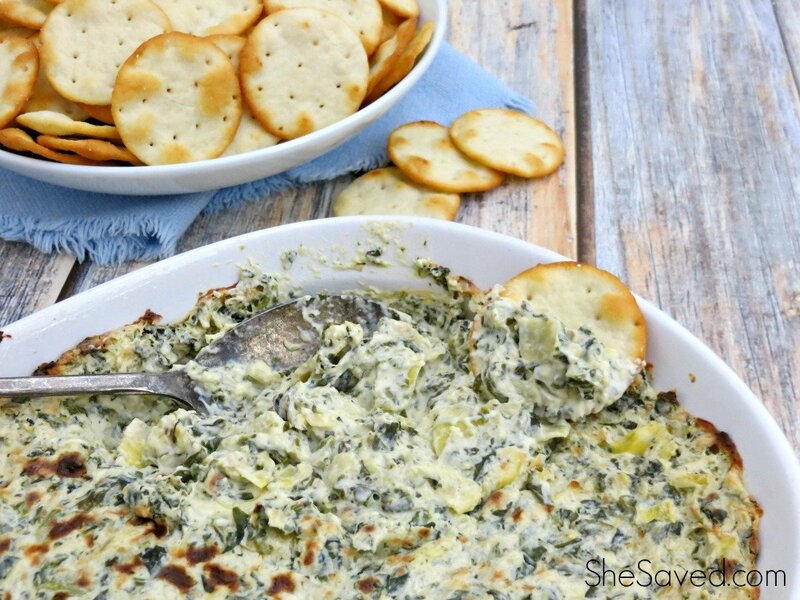 Refrigerate for 10-15 minutes or until completely cool and firm. Once mixture is firm take a baseball sized amount and carefully roll it into a rope, pressing it firmly to compact the krispies. Shape the rope into a ring and squeeze together to seal. 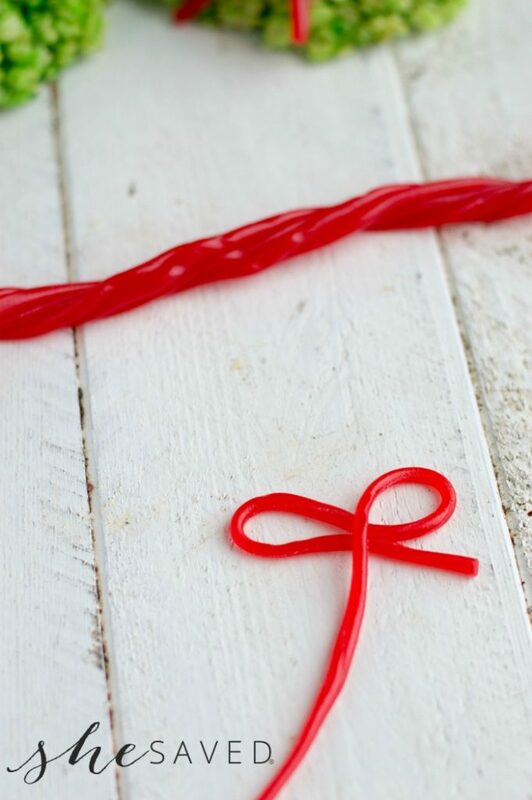 To make the bow peel a strip off the Twizzler, being careful not to tear it. Create the first loop with a short tail and then a second loop with a long tail. Make sure the long tail is on top of the short one. Wrap the long tail under the two loops and then bring it down over the top, pinching lightly. Trim the long tail to be even with the short tail. 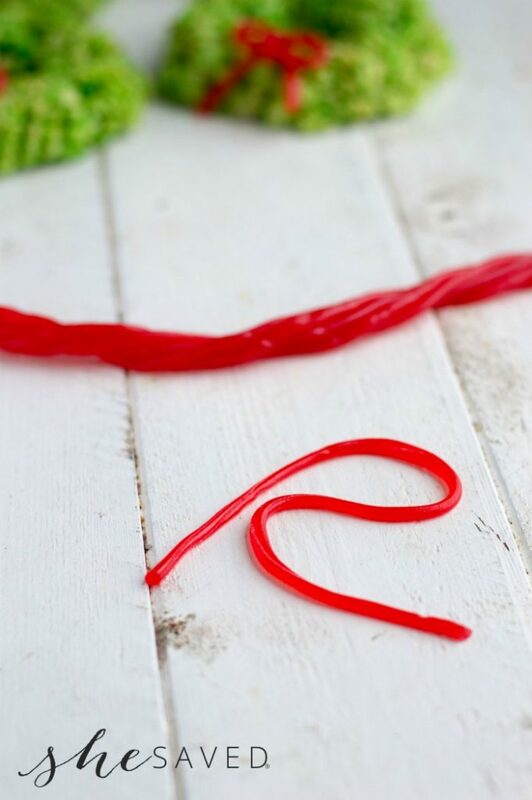 The candy is sticky enough to adhere to the wreaths pretty well but if you want to make sure they won’t go anywhere even when being transported you can secure them with a dot of melted white chocolate. Of course, you could get creative and add sprinkles or red hot candies for berries. 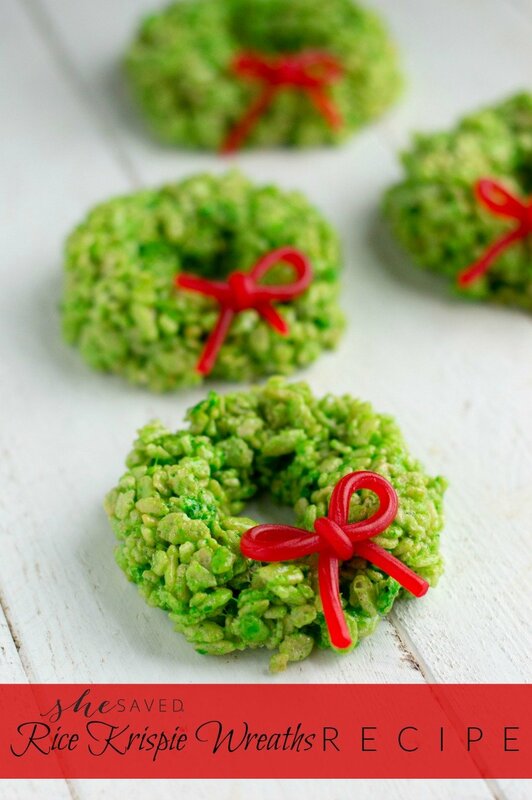 Won’t these Rice Krispie Wreaths look lovely on your Christmas cookie plates? These are adorable and easy! Needs to try them!